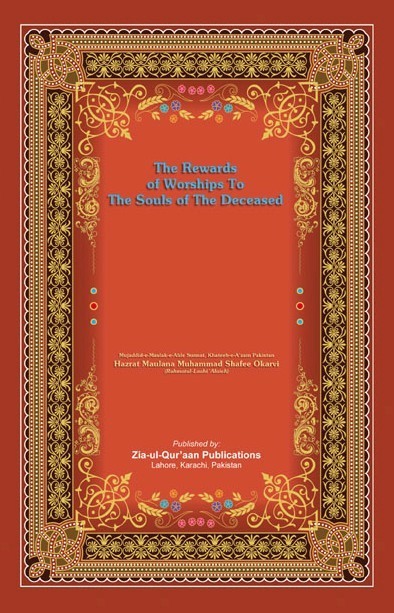 Description ‘The Rewards of Worships to the Souls of the deceased’ is the English translation of the book “Sawaab ul Ibaadaat”. It provides evidences to those people who deny forwarding rewards and of it being beneficial and profitable. Such people should ponder profoundly on these authentic evidences presented in this booklet by respected Khateeb e A’zam Hazrat Maulana Muhammad Shafee Okarvi (Rahmatul Laahi ‘Alaieh).